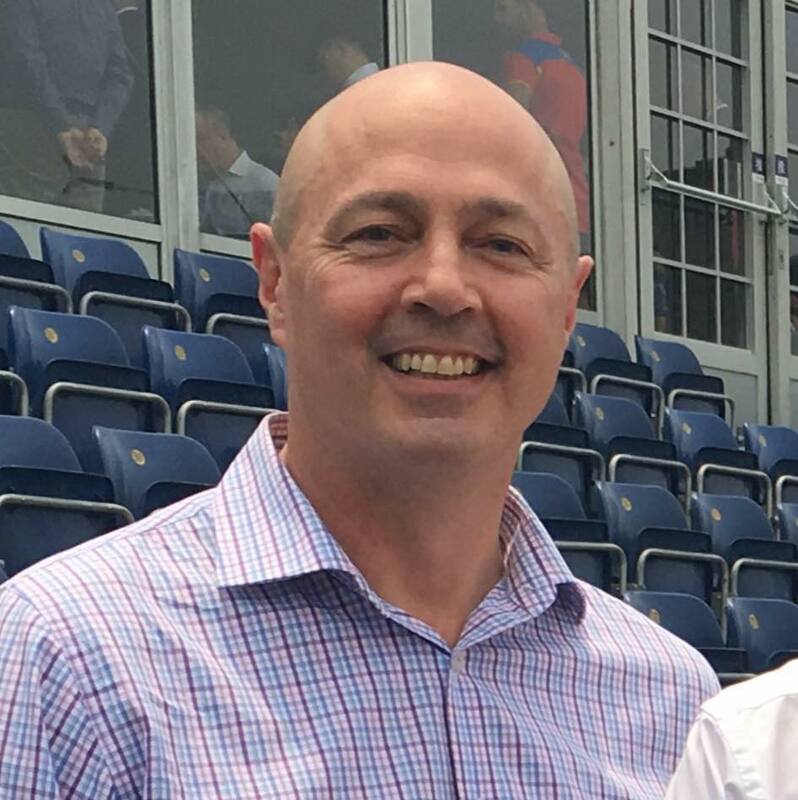 EXCLUSIVE | An Adelaide entrepreneur has lashed the Marshall Government and its predecessor for misunderstanding and damaging SA’s trade relationships with Chinese companies, and accused the Liberal Party of betraying local private enterprise. In an excoriating written complaint obtained by InDaily, managing director of Adelaide-based China trade consultancy Sinosphere, Anthony Coles, says that rather than helping local businesses trade with Chinese companies, the Government and its bureaucracy has only got in the way. The complaint, sent to Trade Minister David Ridgway by email last month, accuses the Government of undermining prospective investments in South Australia and bungling interactions with Chinese companies. “The actions of your administration, in trying to demonstrate evidence of their industry in China, is actually to the detriment of the state, and to local SA-based businesses,” the complaint reads. Coles describes several occasions in which he says both the Weatherill and Marshall governments had failed to seize opportunities, or mishandled or misunderstood commercial negotiations. (The Government’s) letter to Tus has not only made my commercial negotiations more difficult, it presents your new Government as poorly advised, limiting the chances of any success from the Tus relationship in Australia. One of those negotiations involved Beijing giant TusHoldings, which, according to Coles, was interested in setting up a new wellbeing research outfit in Adelaide last year. Coles said that representatives of the company visited Adelaide in September 2017. The company is a co-sponsor of H+Lab – a happiness, health and technology research facility in the South Australian Health and Medical Research Institute on North Terrace – which launched in the same month. Afterwards, Coles wrote to the Government seeking a formal endorsement planned investment from Tus in SA, he said. According to his written complaint, it was nine months before the Government responded – during which time Tus had opened facilities in Cambridge, Milan, Kuala Lumpur, Ann Arbor (Michigan) and Macau. “I am … working with their (Tus’) venture capital business to establish an investment fund in Australia – and I have presented a number of Australian business investment opportunities to them to consider,” the letter reads. When the Government did respond, he writes, it appeared “from the China side to be (a) shallow, poorly informed effort to belatedly set up a meeting at the SA Government’s convenience for a delegation program already set”. Coles writes that the letter from the Government to Tus – which he declined to share with InDaiIy because it was “commercial-in-confidence” – failed to acknowledge changed circumstances in China. “Despite official communications to the premier’s office, your office, and your department’s administration, to advise the new Government of the dramatic changes of circumstances in China, and within TusHoldings since the MOU a year ago, (the Government’s) recent letter to Tus has not only made my commercial negotiations more difficult, it presents your new Government as poorly advised, limiting the chances of any success from the Tus relationship in Australia. “That Tus executives would choose to share these communications with me, and indeed ask for my advice as to how to respond, sadly reflects the strength of their relationship with me over that of my own government. Coles writes that he runs a “local SA business, with good China knowledge, trying to secure more trade and investment for SA (but) the actions of the bureaucracy in SA has done little to secure the potential of the China market for SA”. Speaking to InDaily from Beijing this week, Coles said he had chosen to pen his complaint and to allow it to become public, out of frustration that little had changed under the new Marshall Government – and despite the “omnipresent city-state fear” of being locked out of government work by making public criticism. “(But) I don’t want money, or work from the Government,” he said. “I want them to get out of my way, and listen to me. Coles told InDaily he had voted for the Liberal Party at the March state election expecting it enable businesses such as his own to flourish, but that he faced similar frustrations with the bureaucracy now as he did under the Weatherill Government. “I am writing this not as sour grapes for not being engaged commercially to advise the Government, but as a local business person who voted for a new Government, with new policy commitments, and a promise of a new attitude to facilitating business,” Coles’ complaint reads. He told InDaily the Weatherill Government strategy of sending business delegations rapidly from city to city in China, in the space of a few days, ignored the necessity for businesses to develop deep, long-term relationships with Chinese corporations – and that he saw little strategic change from the Marshall Government. “We go in for four days to three cities (and) bounce like skimming a stone across a lake,” he said. Coles said he would be in Sydney – where Tus was now directing new investments – when the Government leads its latest delegation to China later this month. (The Social Creative) were going in with an East End Adelaide product … when the market for the Qingdao Beer Festival is Oktoberfest times one-thousand. A spokesperson from Ridgway’s office confirmed the delegation would be in China from July 16 to July 20 this year. However, Ridgway argued his Government’s approach to China, which included the establishment of new trade offices overseas, was substantially different to that of the previous Government. “Mr Coles is entitled to his opinion, and it seems his criticisms are levelled at the previous Labor administration,” said the Minister in a statement. “The Marshall Liberal Government has a strong focus on growing South Australia’s exports and a different approach to the previous State Government. In his emailed complaint, Coles describes an occasion late in 2017 in which he had brokered a meeting between Tus representatives then-Minister for Trade Martin Hamilton-Smith. “After prolonged delays to my requests, I finally introduced the previous Minister to Tus in Beijing in an effort to get some traction in SA,” Coles’ complaint reads. “In another example of the administration not understanding China, that meeting in Beijing was at the Minister’s hotel, (located) not one hour from Tus’ China head office, with no concerted effort to visit their facilities. “A classic demonstration of foreigner disrespect. He said the meeting occurred in October or November 2017. Hamilton-Smith resigned from the ministry in early January this year. If he has missed out, the reasons are a matter for him to consider. Hamilton-Smith told InDaily in a text message this morning that: “If Mr Coles was trying to do business with (Tus) and develop a business relationship with them, that’s a matter for him to manage, not the government. “Many requests are made by people like Mr Coles. Coles also says he warned the State Government and the Adelaide City Council that the Social Creative’s disastrous “Royal Adelaide Club” event, planned for the Qingdao Beer Festival in 2016, would not be a success. “(The Social Creative) were going in with an East End Adelaide product … when the market for the Qingdao Beer Festival is Oktoberfest times one-thousand,” he told InDaily. According to his letter, his advice was ignored. Losses at the Qingdao Beer Festival contributed to sending the Social Creative into voluntary administration mid-last year. However, city councillor David Slama told InDaily he did not recall any advice from Coles that warned against the Royal Adelaide Club proposal. Slama accused Coles of “sour grapes”. The councillor added the Royal Adelaide Club proposal was first conceived by representatives the Qingdao Department of Foreign Affairs, along with a senior official from the Qingdao Beer Festival, after they had visited the Royal Croquet Club in Victoria Square during the Fringe Festival. Coles also accused the State Government of ignoring the opportunity to have South Australian food and beverage products placed in Chinese TV series Speed when production company Ciwen Media came to Adelaide to shoot it. Coles told InDaily the Government was asked to either contribute funding for the series or recommend SA products to feature in it, or both. “DSD (Department of State Development) and SATC (SA Tourism Commission) declined to participate,” he told InDaily.